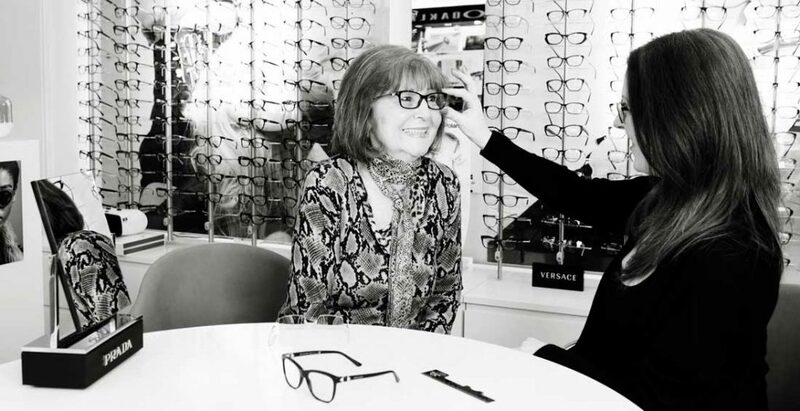 You will be amazed at what a huge range of prescription glasses, sunglasses and prescription sunglasses we manage to pack into our bijou practice, covering every style and suiting any budget. Armani, Boss, Bvlgari, Carrera, Diesel, Dolce & Gabbana, Dsquared, Fendi, Gucci, Jaeger, Jimmy Choo, Kate Spade, Marc Jacobs, Michael Kors, Oakley, Oliver Peoples, Paul Smith, Police, Polo Ralph Lauren, Prada, Saint Laurent, Silhouette, Stark, Ray Ban, Superdry, Ted Baker, Tom Ford & Versace. Small but exclusive we are in fact the only Bolton practice with a licence to sell; Dior, Marc Jacobs, Celine & Oliver Peoples glasses. Glasses are one of the ﬁrst things people see when they look at you & It’s one of the few items you’ll use everyday so it’s vital to get the right frames for you, not just compatible with your features but reﬂective of your individual style and personality. Fact – Glasses are the new cool! It is essential children feel happy about wearing their glasses, ﬁnding the right ones helps build conﬁdence and let’s their personality shine through! We have a hand picked range, which are both functional and stylish. Most of our children’s glasses are free with an NHS voucher. For the little fashionistas amongst us we also supply designer children’s glasses for a small upgrade! Whether you wish to look hot on the beach or cool on the slopes our range of sunglasses are sure to please. If you require prescription sunglasses we can also provide curved wrap-around lenses, graduated tints, mirrored tints, polarized, photochromic, thin and varifocal lenses.